After receiving her Bachelors’ degree in Food Science and Nutrition, Mrs. Contestabile worked as a food technologist and consultant in the food manufacturing industry for over 20 years. 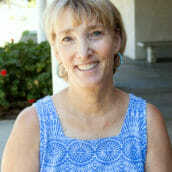 Then, while working on a master’s degree in history, she spent five years at the Ocean Institute as a maritime and California history instructor. Mrs. Contestabile earned a Master’s degree in 2014 from CSUF, and has been teaching at The Arbor since then also.